Blog — Two Elk Studios formerly Jesse Starr Photography | Vail Wedding Photographer. Beaver Creek Wedding Photographer. Formerly Jesse Starr Photography. Vail, Colorado's Premiere Wedding photographer with a passion for discovering your love story. This is an excerpt from a Money Magazine article about 100 Best Money Moves. Anyone who is a real estate broker/ agent or is selling a house personally should check this out. Hire a professional photographer to shoot the place once you've staged it. High-quality photos will get your listing noticed online, which is where most homebuyers start their search these days. Create a website for your house. Put the URL out front so that passersby can look it up instantly on their smartphones, advises Louis Cammarosano, general manager of real estate site HomeGain. Post it on Facebook too. Have your agent call everyone who toured your place but didn't bid and ask, "What were the deal breakers for you?" If most people answer, "The kitchen looked really tired," then you know what to do. Monitor traffic on any websites that list your house. 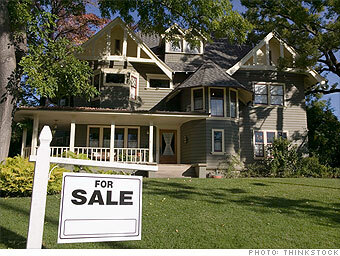 If the volume of hits falls by more than 50% from the first week, the listing is already getting stale, says Ellen Klein, a New Jersey realtor -- and you may need to drop the price. Two Elk Studios was formerly Jesse Starr Photography and remains under the same ownership.